Every day, there is constant battle going on between the healthy bacteria who try to create a healthy environment in the digestive tract and the bad bacteria who try to establish dominance. Healthy or beneficial bacteria contribute to healthy digestion and are necessary for optimal health. On the other hand, bad or harmful bacteria create an imbalance in the gut flora and affect your digestive health and results in many types of digestive discomfort. Healthy bacteria supplements, also known as probiotics are the living beneficial bacteria that can counteract the action of harmful bacteria and restore the disrupted balance of the intestinal tract. They give relief from digestive disorders, benefit your immune system and support your overall health. There are many strains of healthy bacteria like lactobacillus fermentum, bifidobacteria, lactobacillus DDS etc. which are essential for healthy comfortable living. Bifidobacteria is one of the dominant components of the human intestinal flora and has a multitude of health benefits. First isolated in 1899 from a healthy breast-fed infant by Tissier of Pasteur Institute in France, bifidobacteria is a gram-positive, anaerobic, non-sporeforming bacteria. Orginal named as Bacillus bifidus communis, bifidobacteria species belong to the Actinomyces group of eubacteria. They are rod-shaped and have a characteristic appearance. 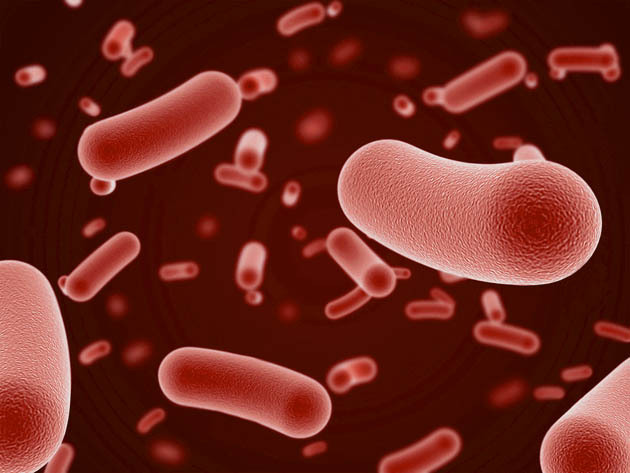 There are 30 known strains of this bacteria, out of which Bifidobacterium longum is widely used. They are normally found in fermented dairy foods and live culture yogurt. It produces organic compounds such as lactic acid and acetic acid, by-products of glucose metabolism. These compounds make the intestinal environment slightly acidic by lowering the pH level. This prevents the potential growth and survival of other harmful bacteria, hence supporting hemostasis. It improves digestion of lactose by breaking down and dissolving food substances in the digestive tract. It decreases the side-effects of antibiotics, which normally kill healthy bacteria along with harmful bacteria. This makes your body more susceptible to subsequent attacks of bad bacteria, parasites and viruses. Bififobacteria, taken as a probiotic supplement, restores the healthy balance of bacteria in your digestive tract. Bifidobacterium longum reduces the symptoms of allergies, ulcerative colitis, Crohn’s disease, peptic ulcer disease and traveller’s diarrhoea. It helps in stimulating the secretion of gastric juices that are required for proper digestion. It is known to have anti-carcinogenic properties, which protects against certain types of cancer. It helps in lowering cholesterol levels and reduces the risk of coronary heart diseases. It enhances the immune system by improving resistance to frequent infections. Bifidobacteria is taken in the form of supplements, probiotics or foods fortified by bifidobacteria. There are no known side-effects of taking bifidobacteria supplements or foods fortified with these healthy bacteria. Bifidobacteria is healthy bacteria that are ingested to improve the intestinal microflora, which in turn prevents digestive symptoms and contributes to overall health. 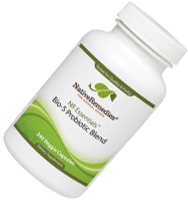 CLICK THE BOTTLE BELOW to learn about Bio-5 Probiotic Blend – Probiotic supplement!